You may recall that Apple is currently under fire for the design of the super-thin keyboards and keys that it packs into its current MacBook and MacBook Pro machines – apparently these keyboards are so thin and delicate that they're more susceptible to failing. Now Apple has owned up to the issue, sort of. 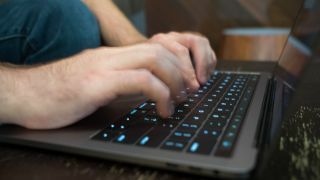 A new repair program page says "a small percentage" of keyboards in certain MacBook and MacBook Pro models can be liable to repeat characters, or not register key presses, or fail to respond in an expected way. If you're hit by one of these issues, Apple will now repair the fault for free. In total, three MacBook models and six MacBook Pro models are mentioned, launched from 2015 to 2017. Apple hasn't said whether or not the keyboard design has been tweaked in the laptops it's selling today, but the 2017 models are the most recent refresh. It's difficult to pin down exactly how widespread the problem is: we do know that aggrieved users have filed more than one class action lawsuit over the issue, and independent analysis suggests the failure rate is somewhere around the 8% mark. The new program runs for four years, so if your laptop exhibits any sort of keyboard issue within that window, Apple will do the repair for free, whether or not you've signed up for AppleCare. As usual with these repair programs, you can call into an Apple Store or post your device off to Apple directly. Additionally, if you've had a keyboard repaired on an eligible model, Apple may refund the cost for you. The next question is when Apple will update its MacBook and MacBook Pro lines, and what kind of keyboard redesign is going to be involved when it does.